Samantha Akkineni's major releases this year will be: Vishal-starrer Irumbu Thirai, Ram Charan’s Rangasthalam, Vijay Sethupathi’s Super Deluxe, the Savitri biopic Mahanati and Sivakarthikeyan-Ponram yet-untitled Tamil flick. 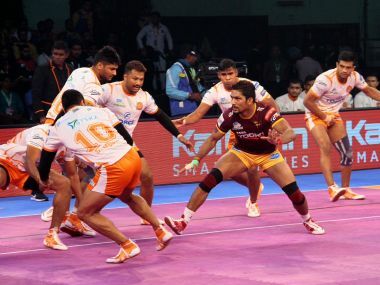 UP Yoddha mounted a strong comeback against Puneri Paltan but just fell short by a point, while the Jaipur team held their nerves to defeat the home team. 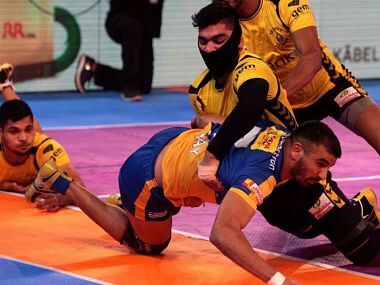 Telugu Titans rode on an outstanding raiding performance by Rahul Chaudhari to beat Jaipur Pink Panthers 41-34 in a Pro Kabaddi Season 5 on Wednesday. A terrific all-round performance by Jaipur Pink Panthers saw them thrash Dabang Delhi 36-25 in a Pro Kabaddi League match on Sunday. Director VK Prakash’s effectiveness in Careful comes from an unusual balance he manages to strike in the tone of his storytelling.